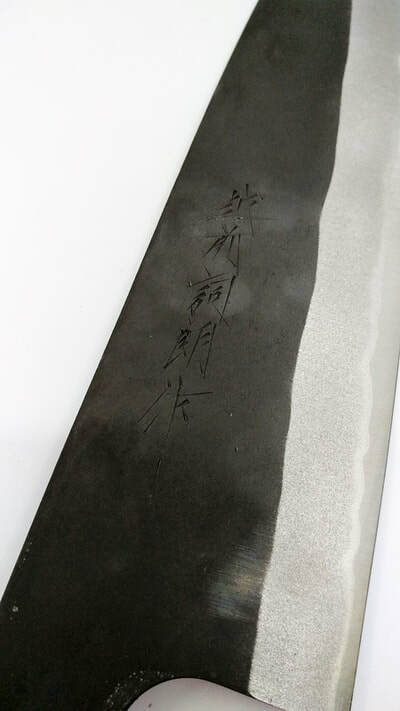 Shiro Kamo, born in 1958, was honored for his skill with the famous Japanese title "Dento-Kogei-shi" at age 45 (Master of Traditional Craft). 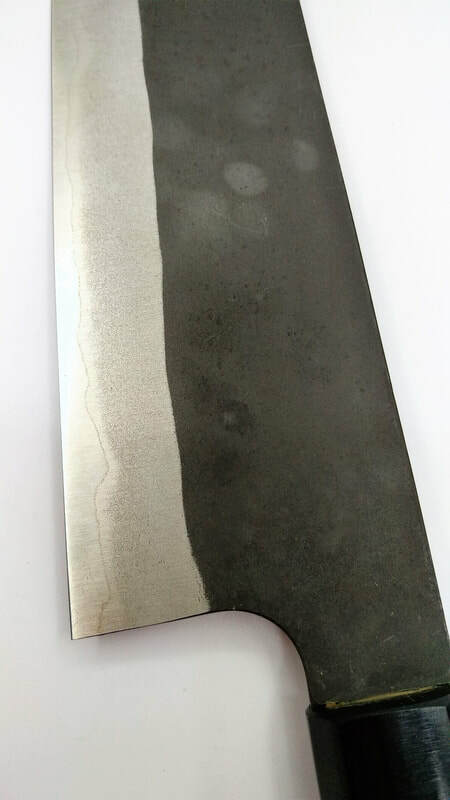 This title was only awarded to a select few artisans that have a significant contribution to their craft in a particular region. 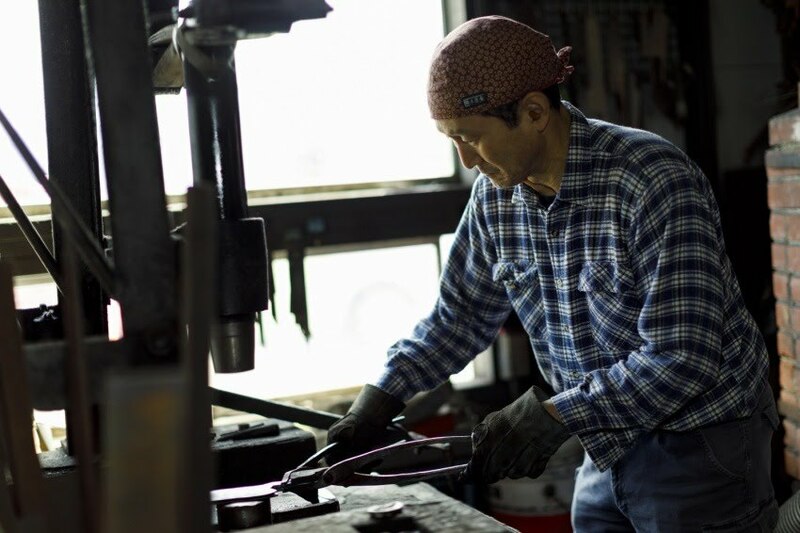 A second generation blacksmith, has a deep passion for his craft and has a wide interest in history and teaches Japanese forging in Europe. 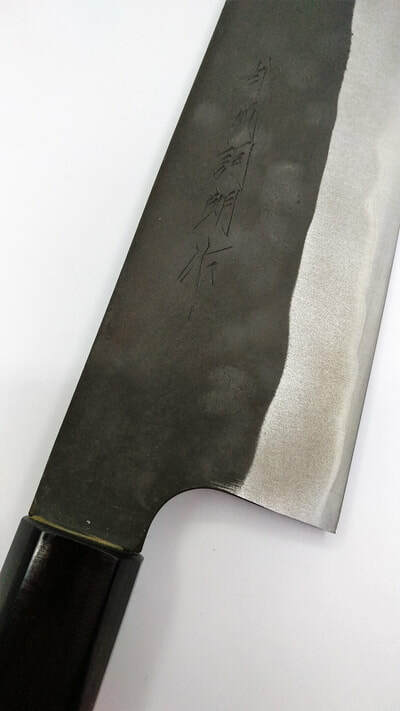 Currently, he is President of the Takefu Knife Village Association. 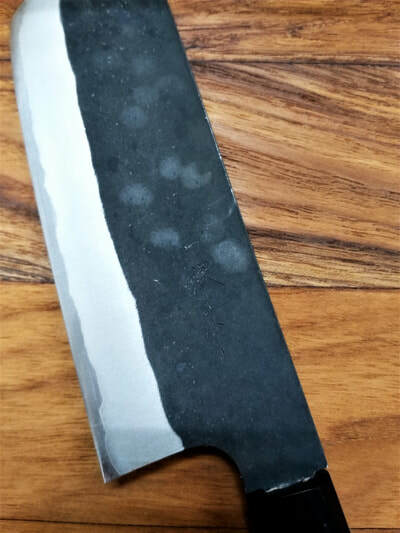 This is the very popular range of Shiro knives, made of R2 Powdered Steel that have very good wear resistance that ensure good edge retention and as it is a stainless steel, it is very easy to maintain. 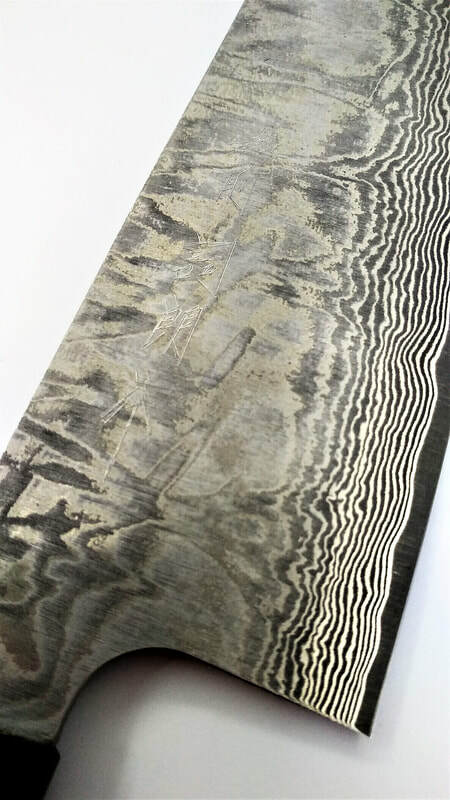 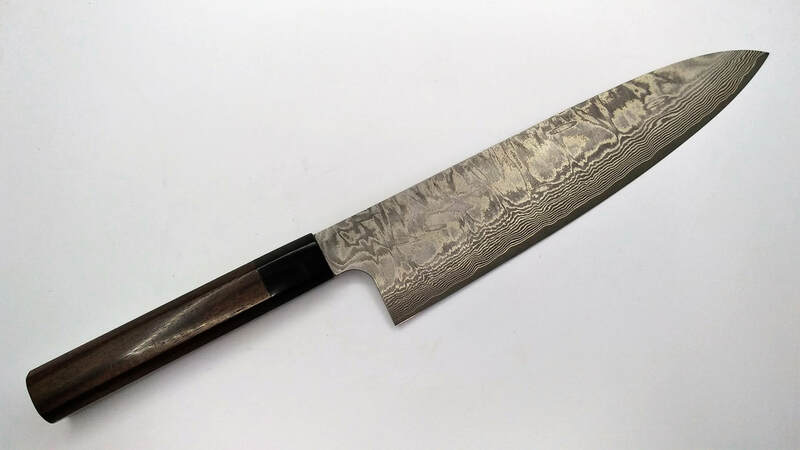 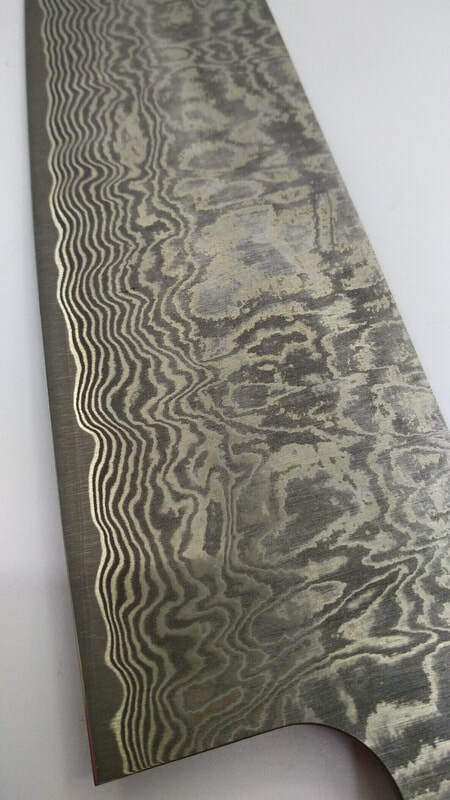 This series has a beautiful 61-layered damascus that is very beautiful to look at, and very popular with professional and home user alike. 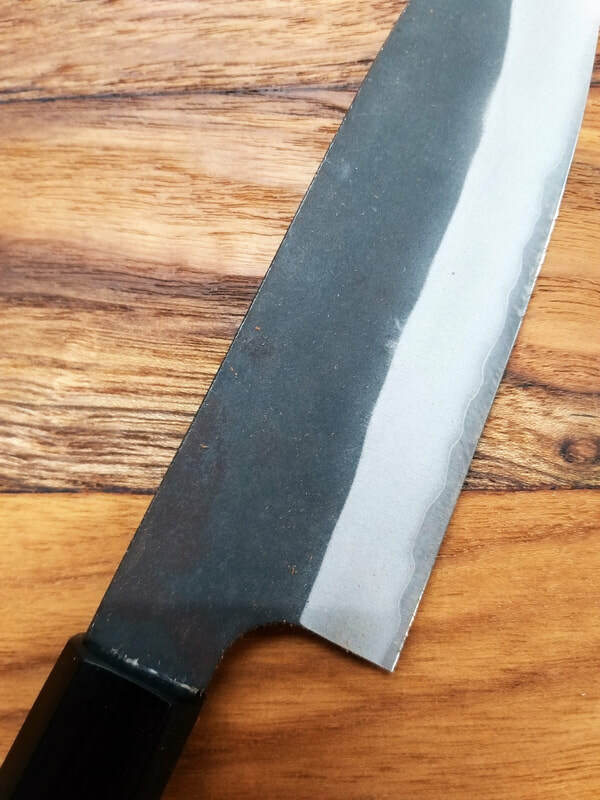 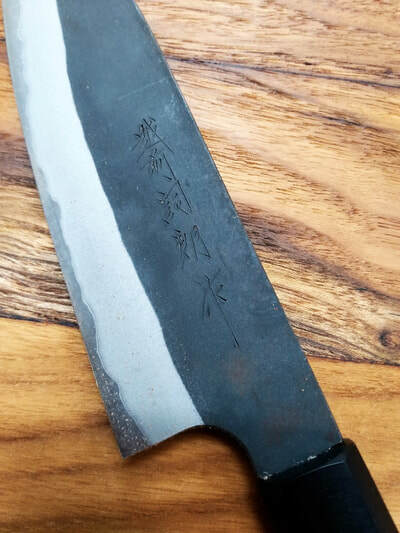 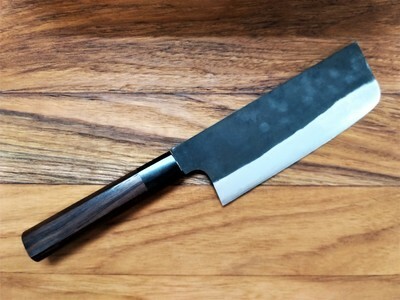 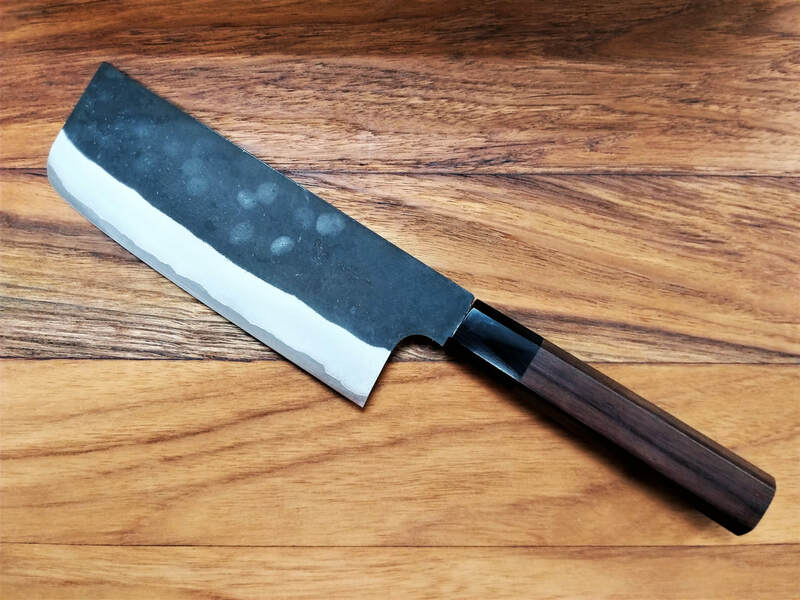 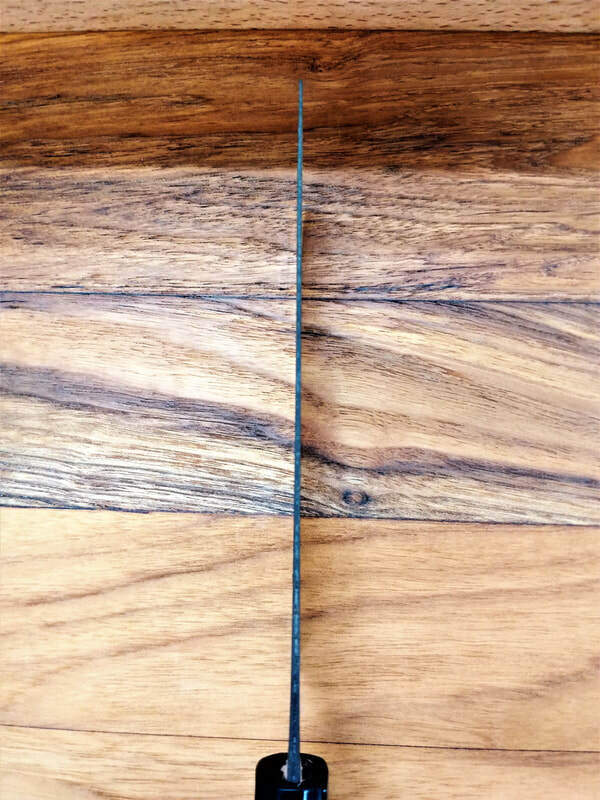 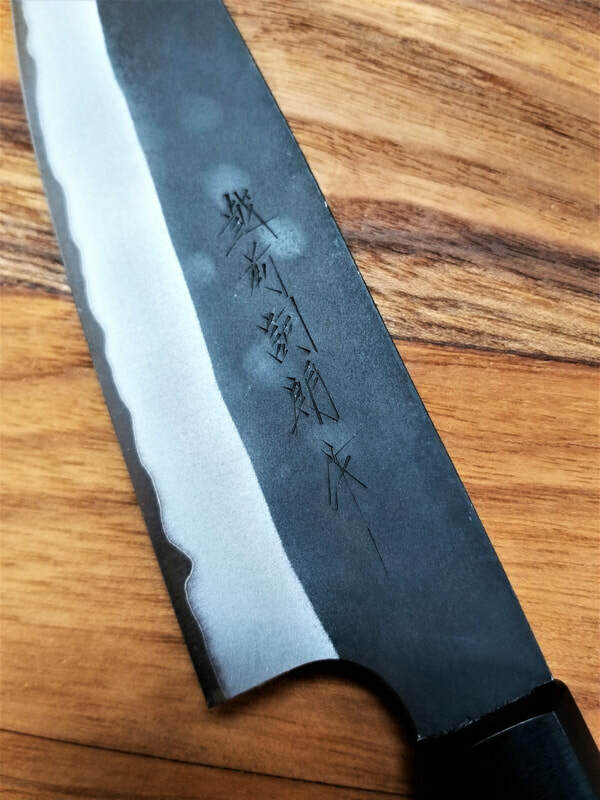 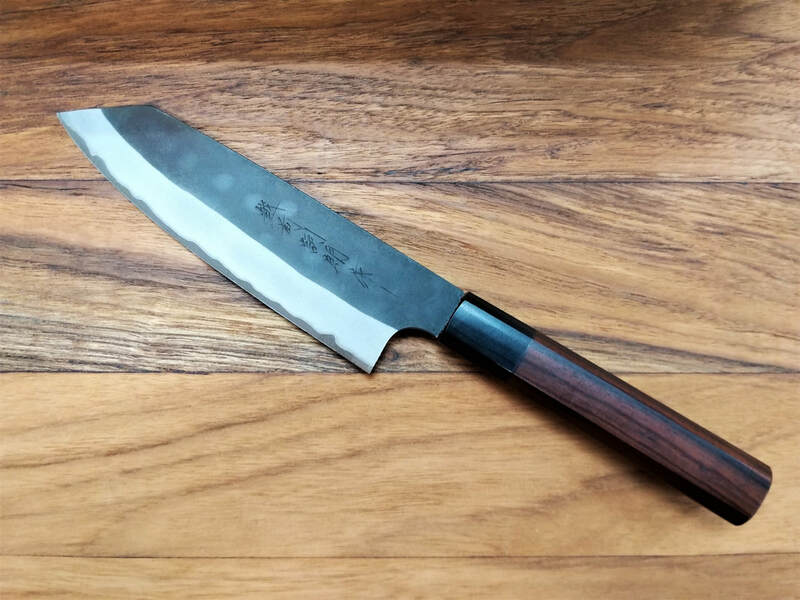 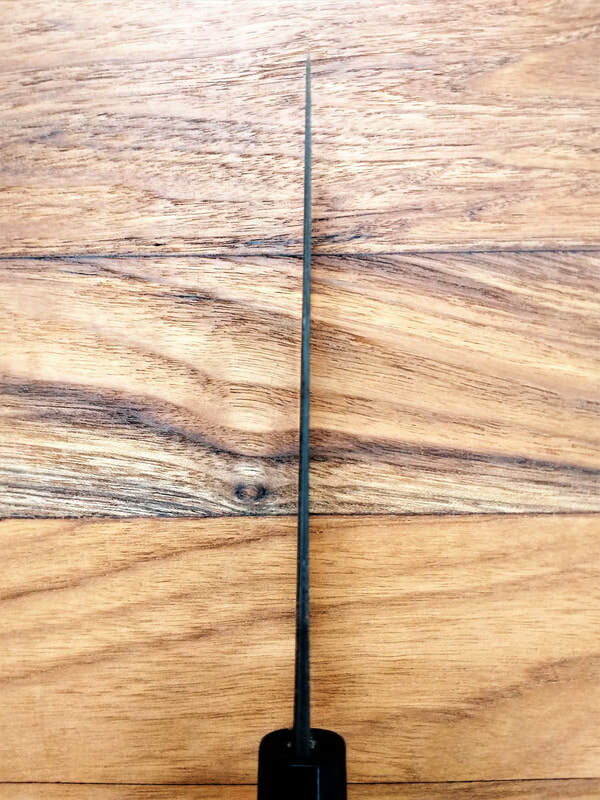 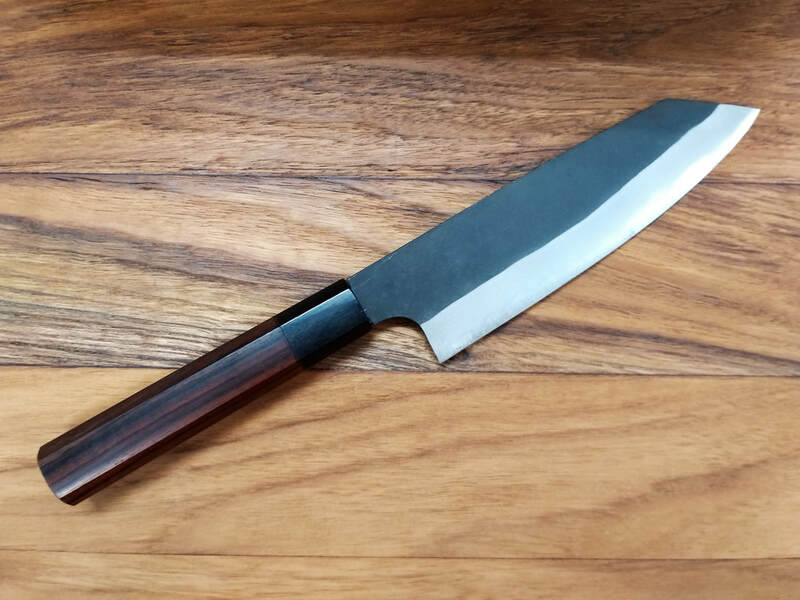 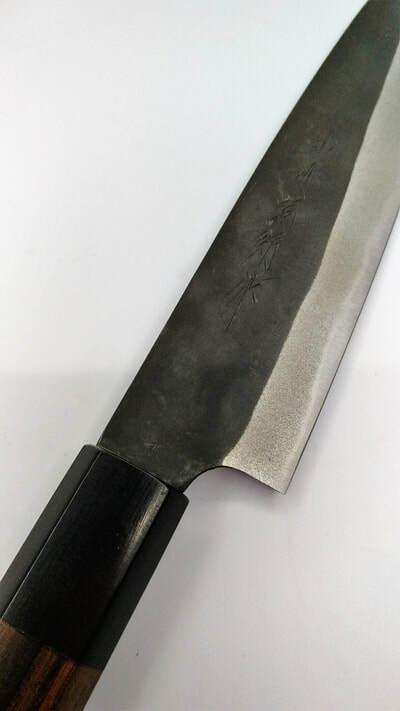 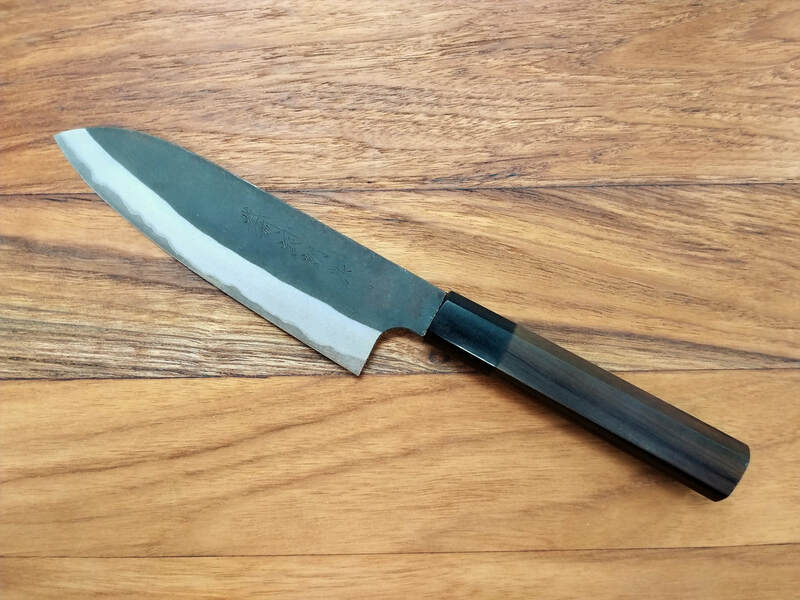 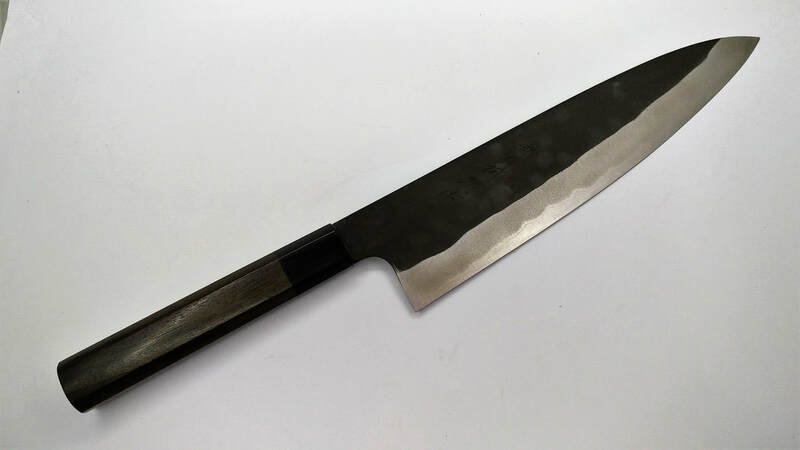 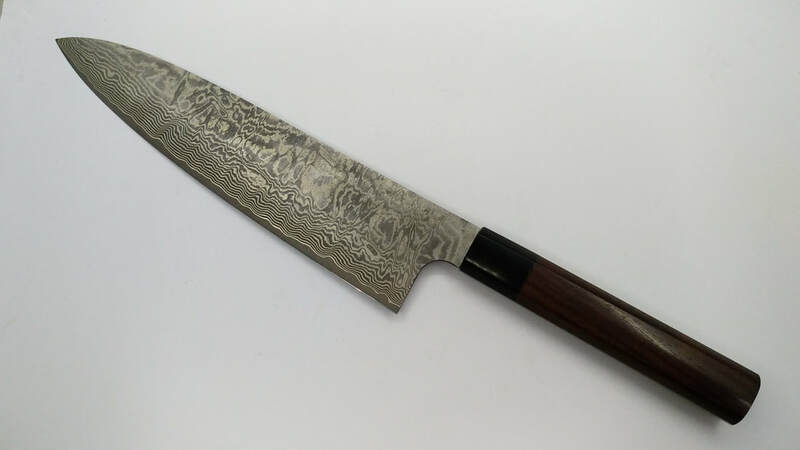 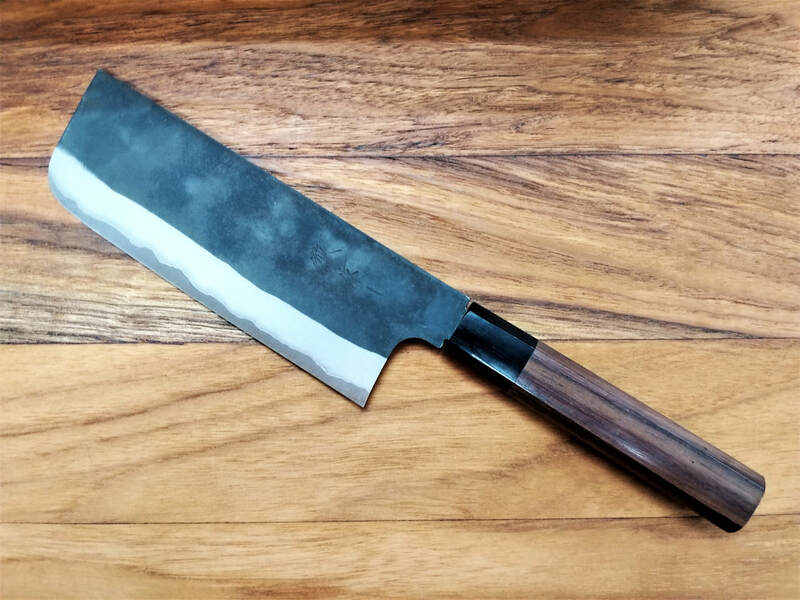 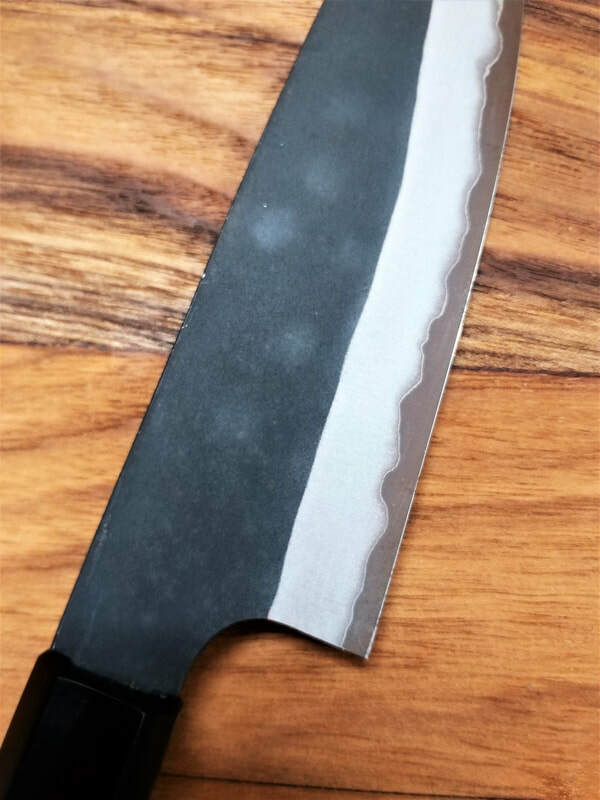 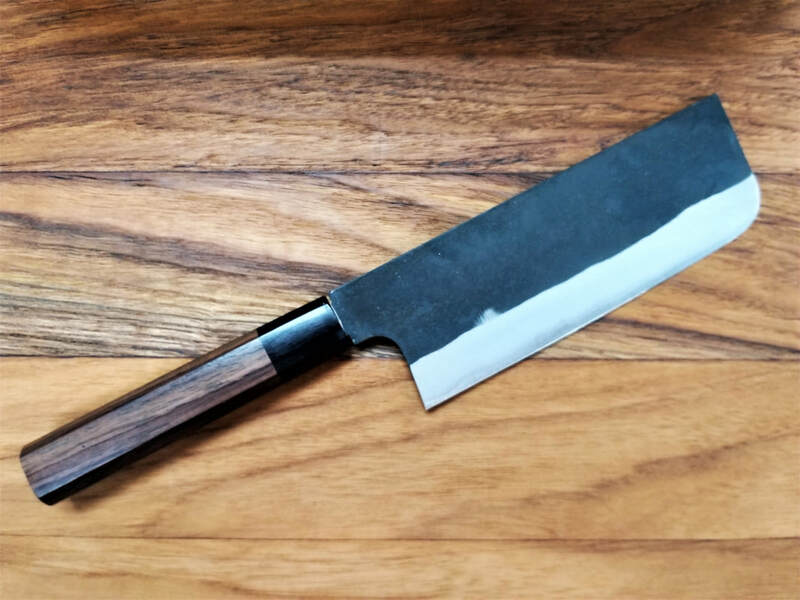 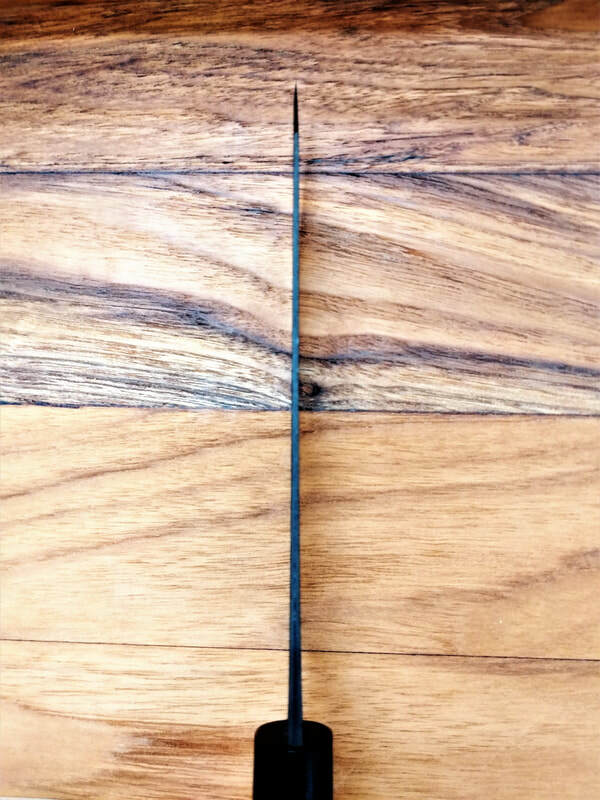 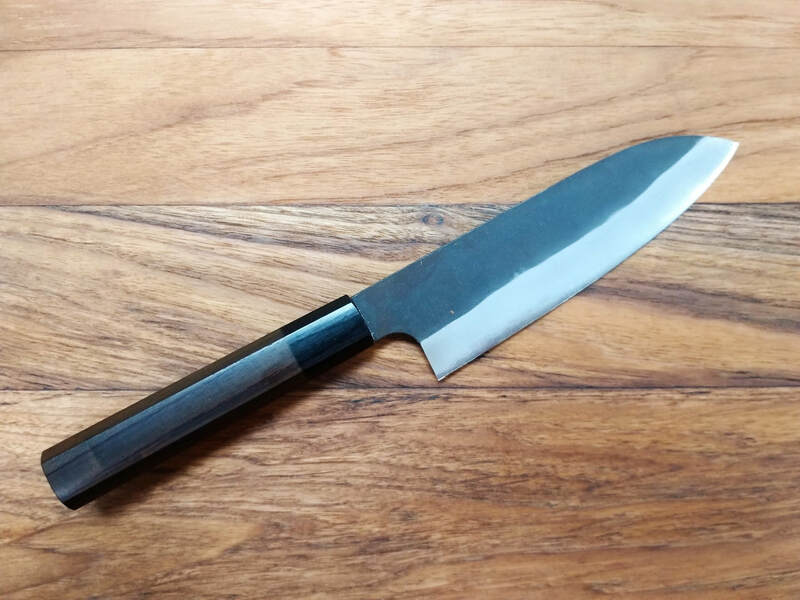 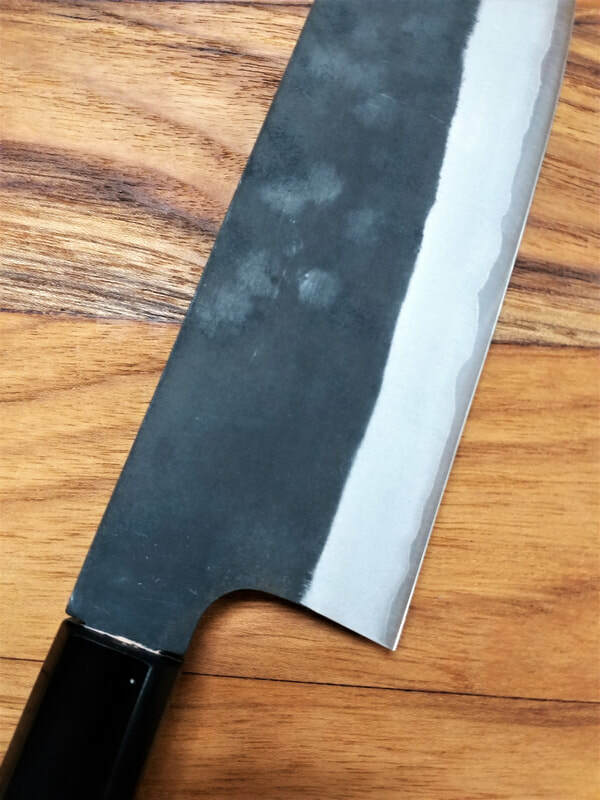 Similar to our customed Shiro AS range, this is also customed to our specs with wider neck for better handling and taller blade height for better knuckle clearance while dicing and chopping on the cutting board. 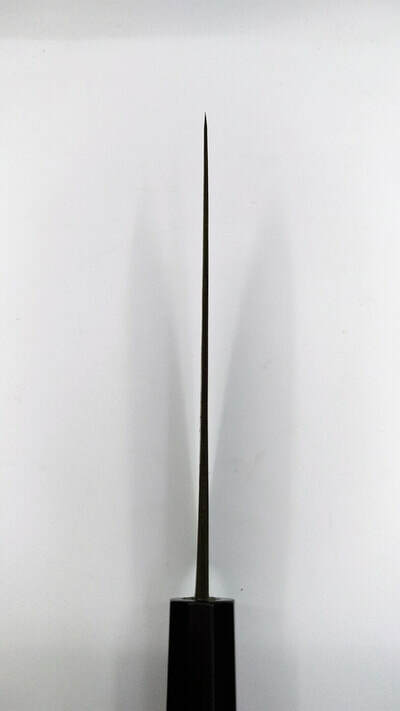 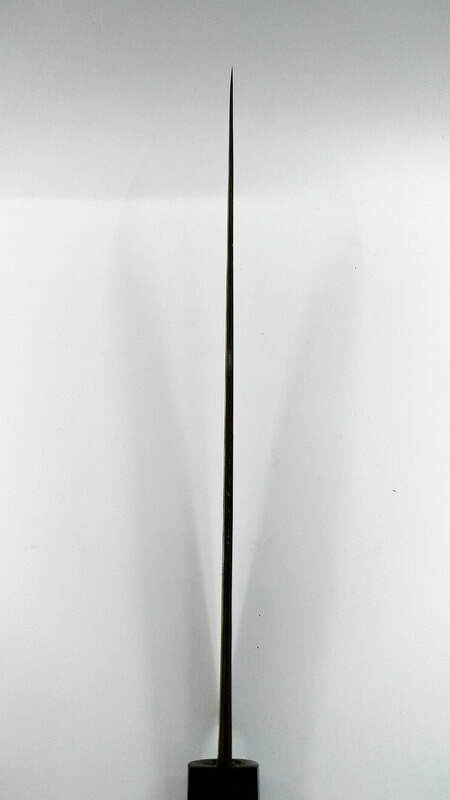 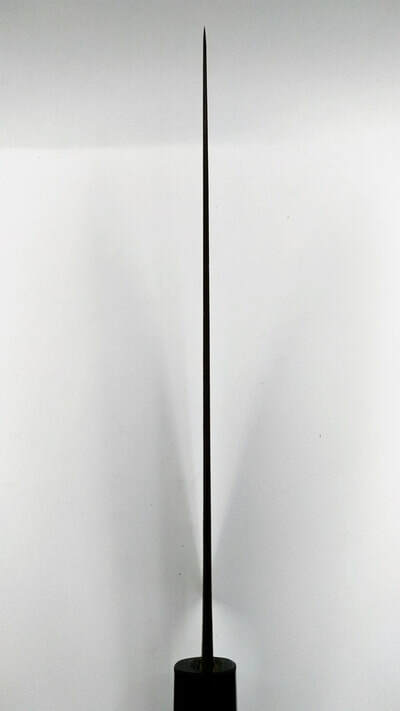 This range is a custom order with wider neck and AS Steel blade core with Stainless Cladding. AS means Aogami Super or Blue Steel Super, it is a high carbon steel from Hitachi, specifically developed for tools and knives, also commonly known as tool steel. This one has highest wear resistance and lowest toughness compared to Aogami #1 and #2. 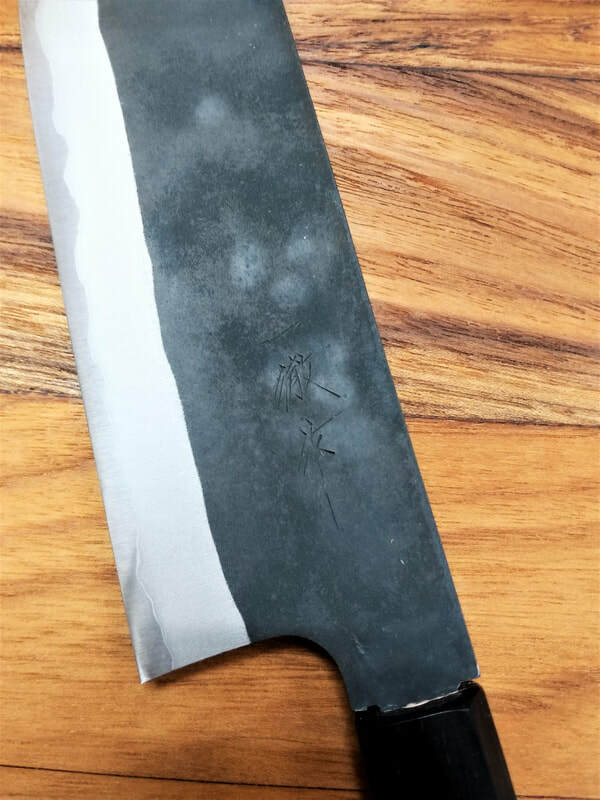 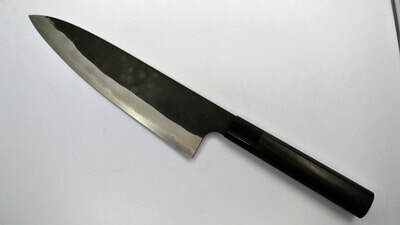 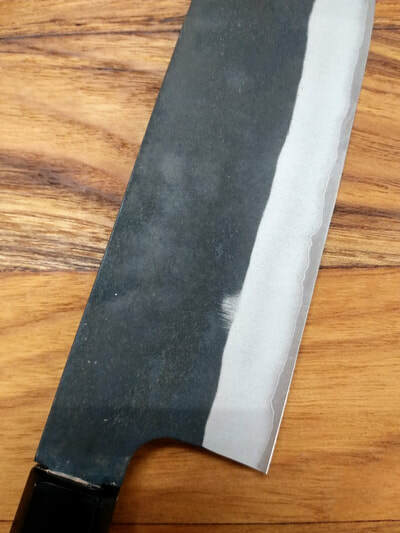 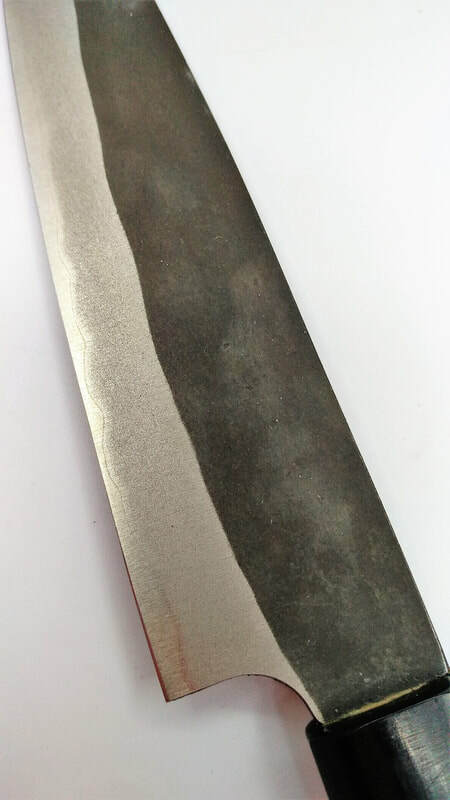 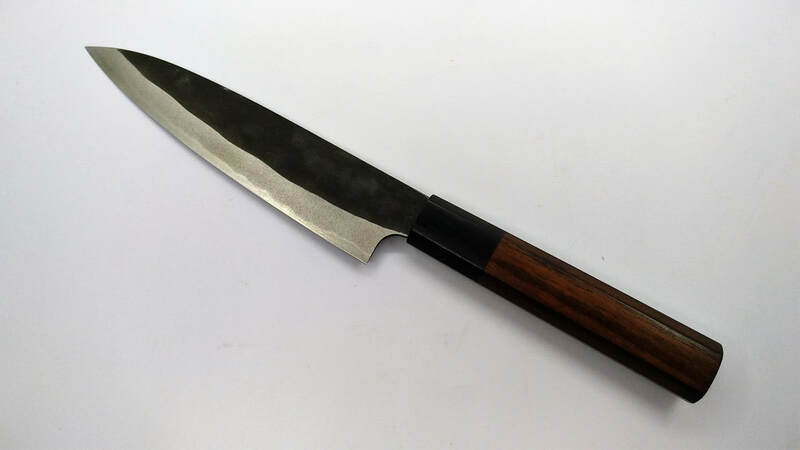 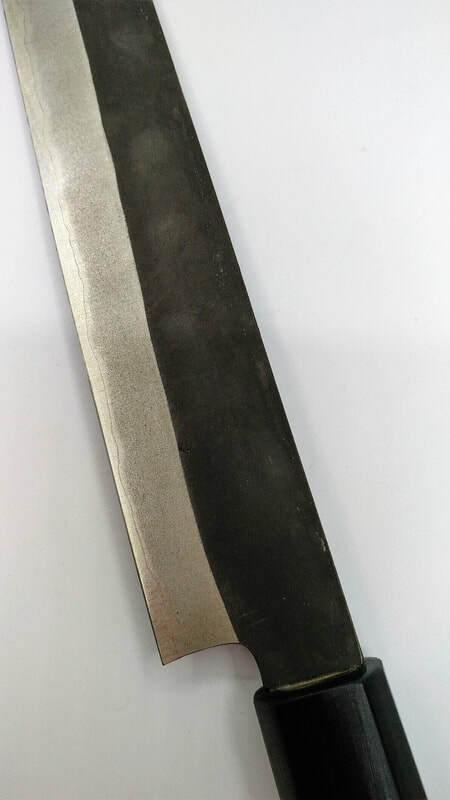 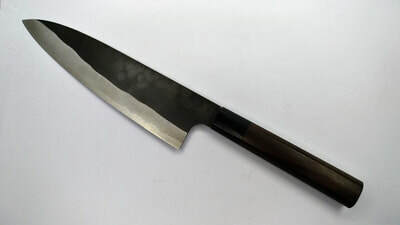 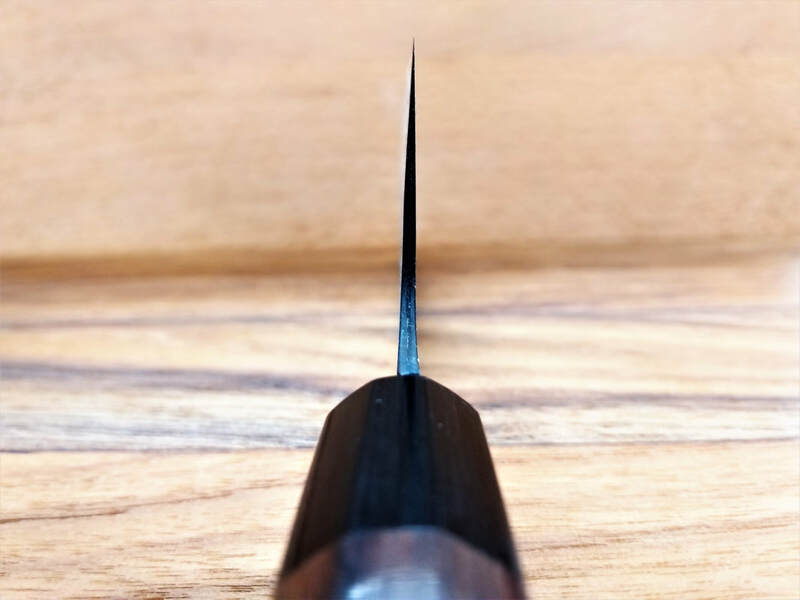 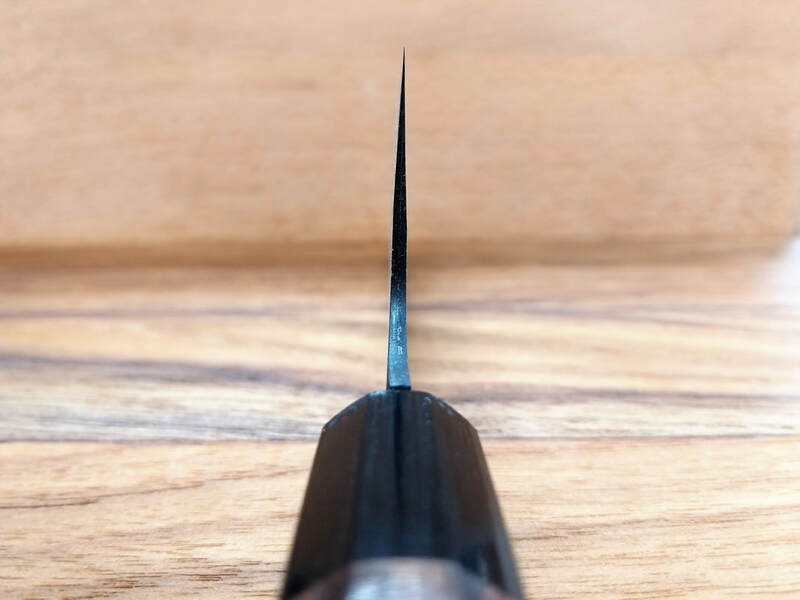 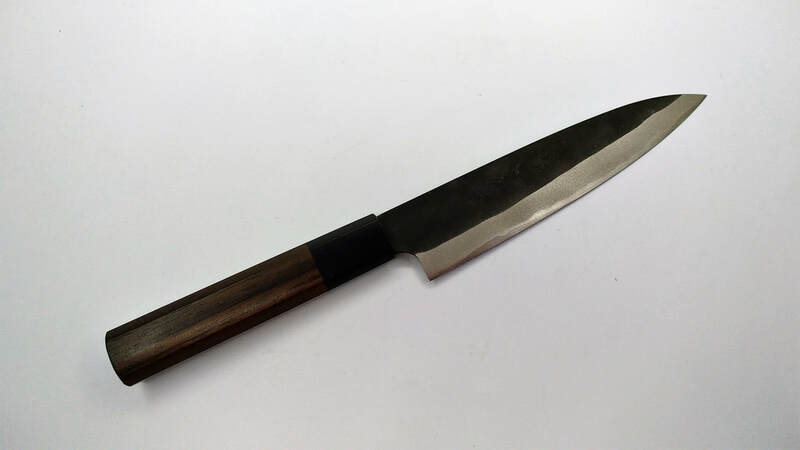 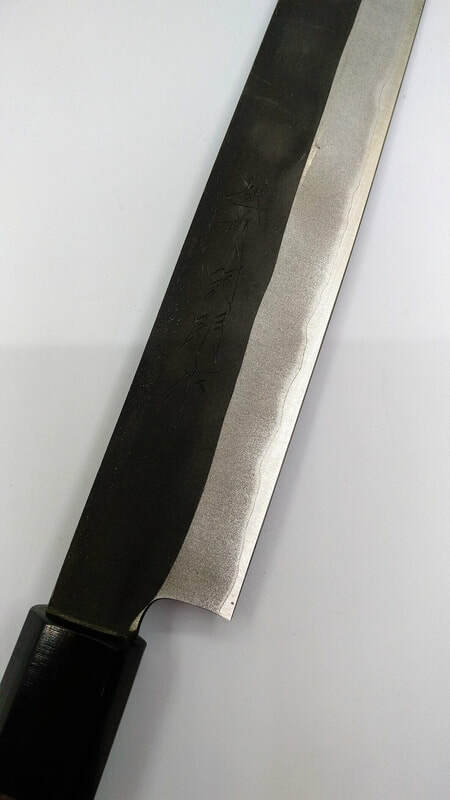 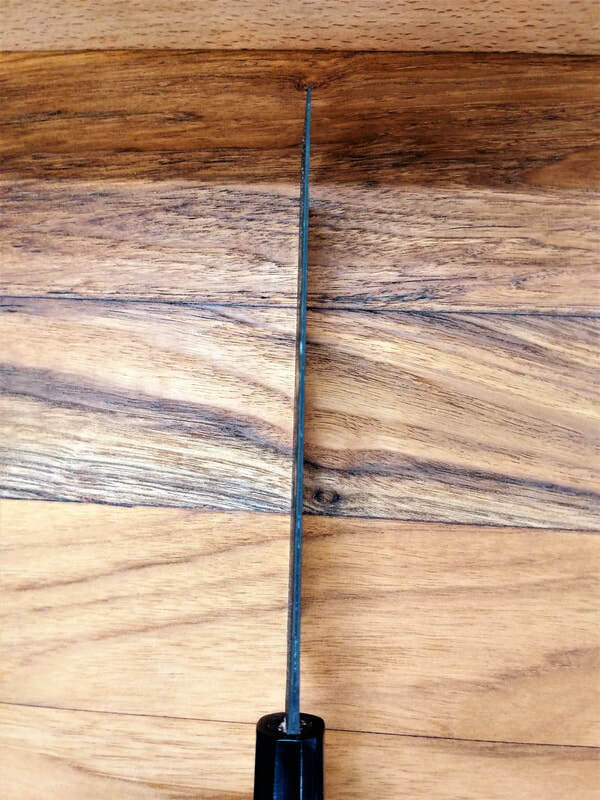 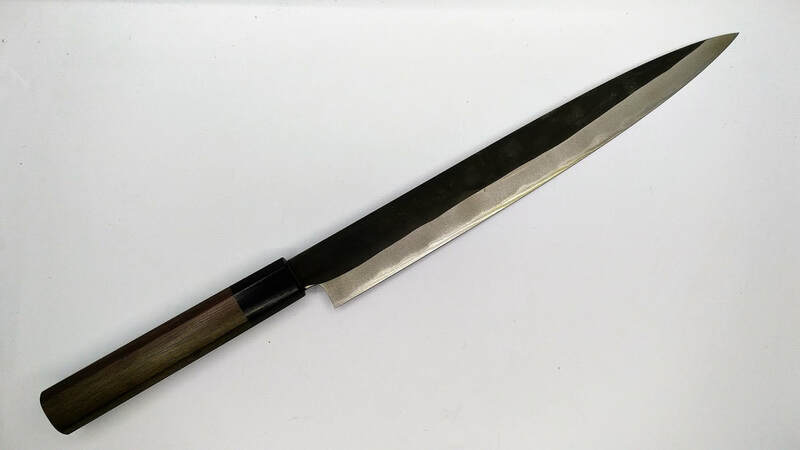 Especially suitable to be used in multi-purpose knives like Gyuto and Petty, as the excellent edge retention results in better overall performance in a demanding professional environment. Now with the stainless steel cladding, this makes for ease of maintenance as you no longer have to worry about oxidation occuring across the whole blade face, you only need to clean and maintain the knife edge. 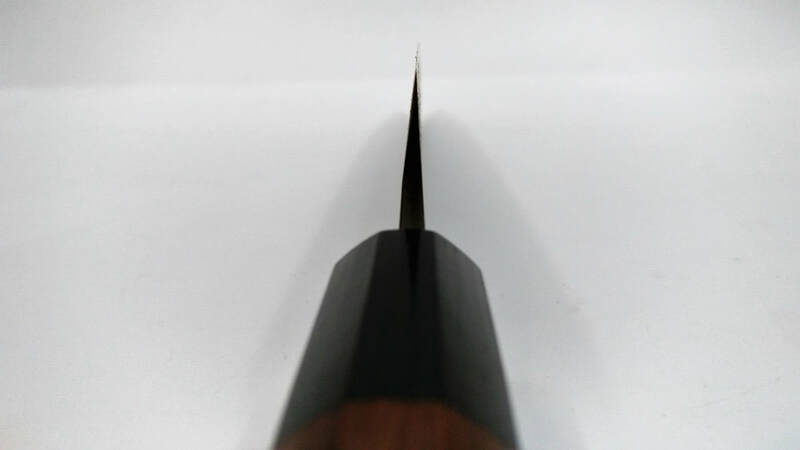 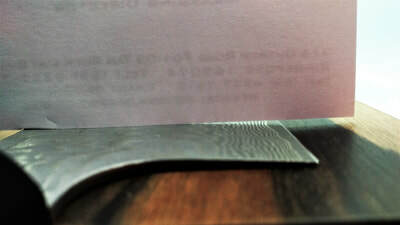 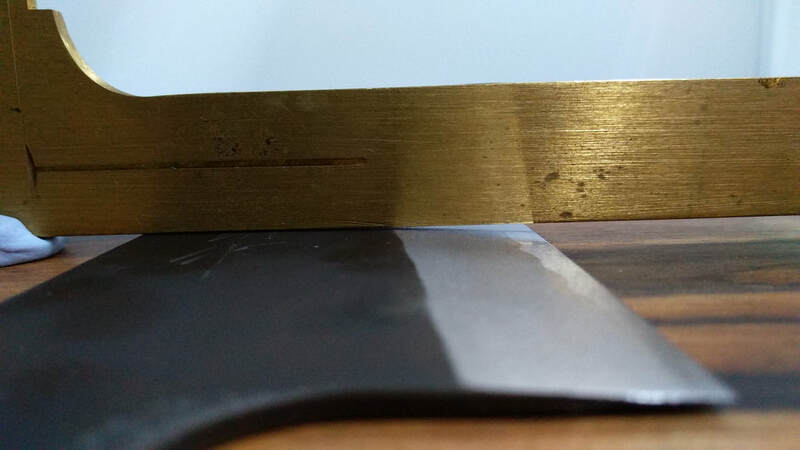 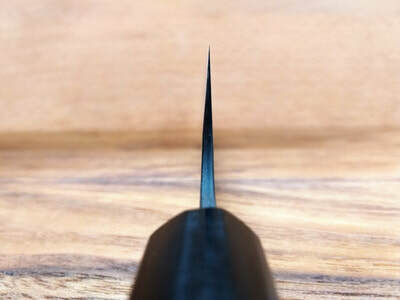 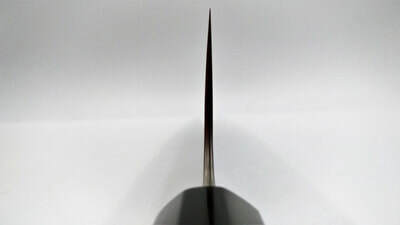 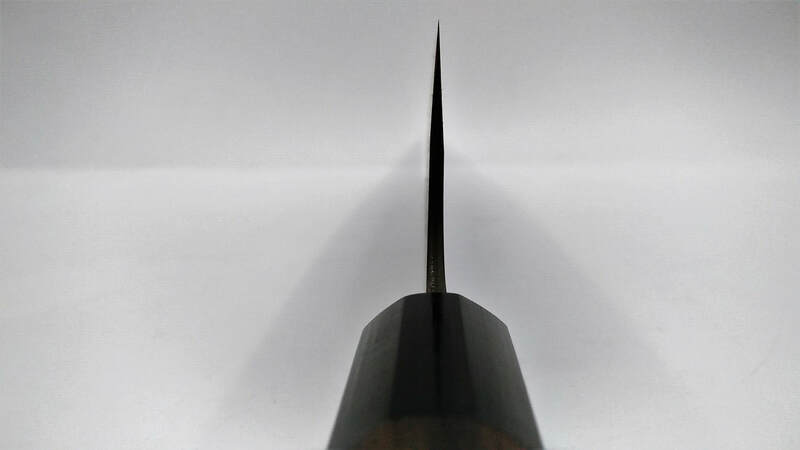 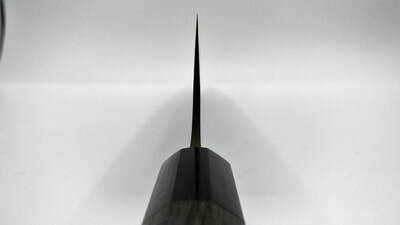 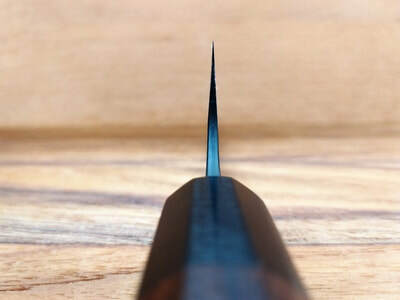 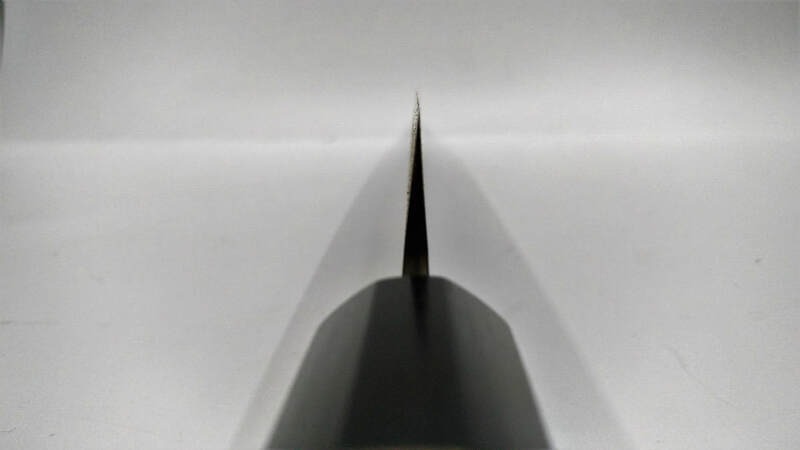 A close up shot of the blade taper. 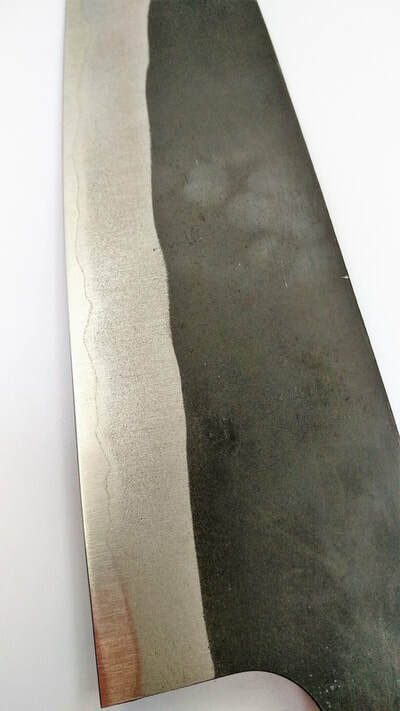 The tapering of the blade helps prevent excessive sticking of food across the blade face.